Made this last weekend. Enjoy! A really nice to touch to mount a cam to the front car. And the looping runs very smooth. Well done. That's just plain awesome... congratulations on a fantastic creation! If I'm not mistaking, you keep the cars in the looping and on the banked curved purely by the use of gravitational forces ? I'm asking because I don't see any side or underwheels. I love the speed and the loop part is amazing. How did you bend the tracks? Or can you possibly post some photos? This is awesome. The view from the front car was pretty much like the real deal. Some photos would be nice so we can have a closer look. about "The Making of a Lego Rollercoaster". 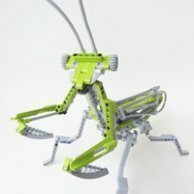 He wrote this about the parts used: "We﻿ bought them at bricklink. It's from the old lego train track system. 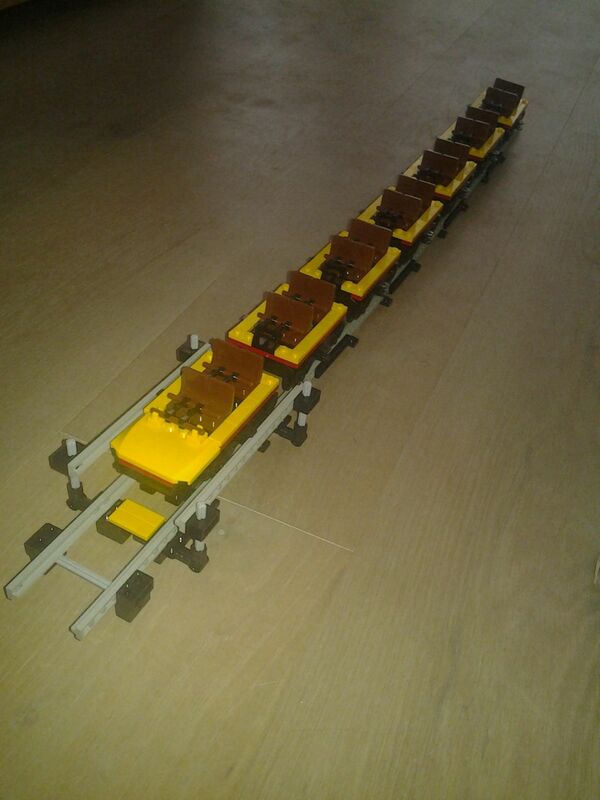 The car wheels are lego 9V train wheels, they run really smooth." Thanks! You are not mistaking the cars are really ON the rails, with nothing but gravitational forces to keep it on there. We did 2 runs with 24 minifigs in the seats and once that reached the banked curve, it just fell off. So awesome. Clever using sideways curved rails for the loop too. If I had the space and the cash for the bits this is what I would be doing, very nice way to spend a weekend I would say. did it all have to come down or did you break donw into smaller sections to make re-creating this possible? That's amazing work...I appreciate the time you spent trying to get it all to work right! Good job! At least those poor minfigs died with smiles on their faces! Only minor damages, they want to run on it again!! I hope you can fix the error in the banking to run it with minifigs, it is really an awesome design! Congratulations! its a really smooth working rollercoaster, thats for sure! This is fantastic. The video taken from the roller coaster seat is amazing, feels like a real experience. Excellent creation! If you do make a roller coaster I'd love to see a video of it!